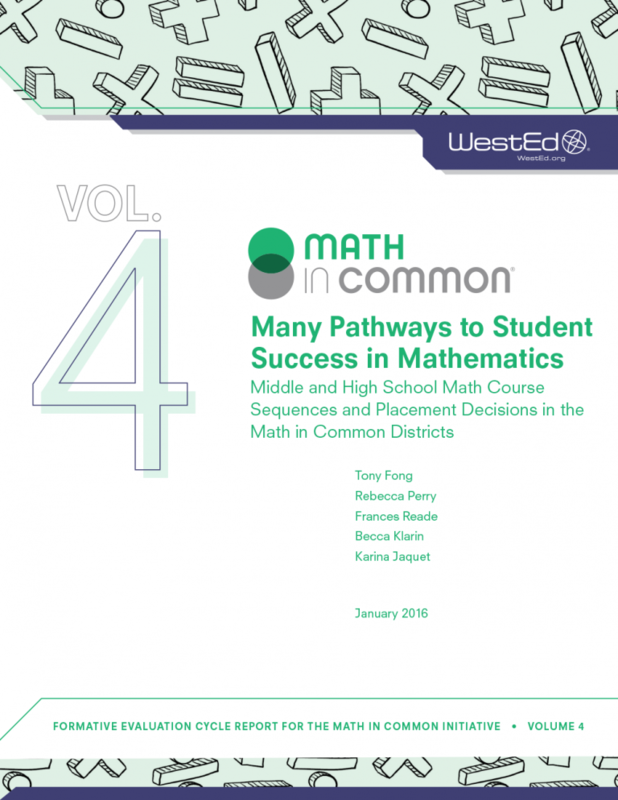 Math in Common® (MiC) is a five-year initiative that supports a formal network of 10 California school districts as they implement the Common Core State Standards in Mathematics (CCSS-M) across grades K–8. 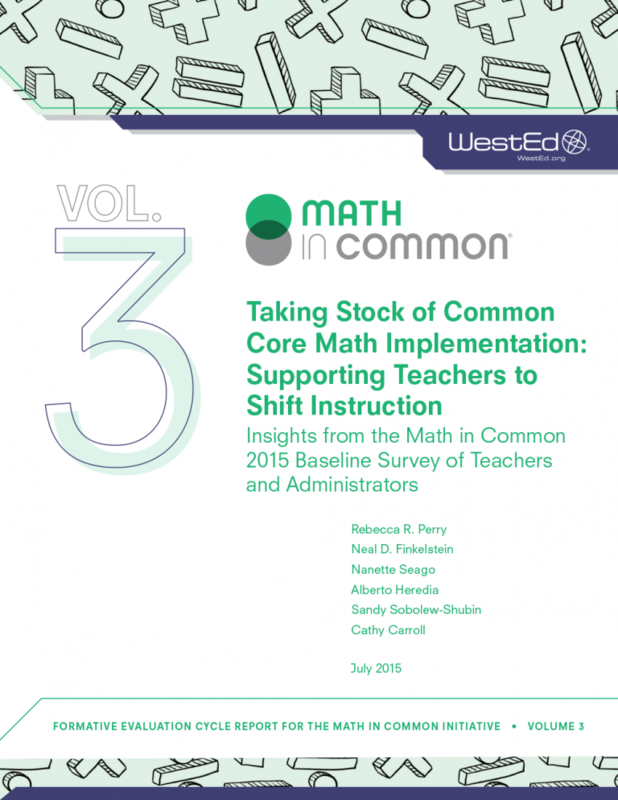 To gauge how districts across the state are faring with respect to student math achievement, WestEd compared how schools in each of the 10 districts performed over two years compared to predicted scores. Curriculum and pacing guide. 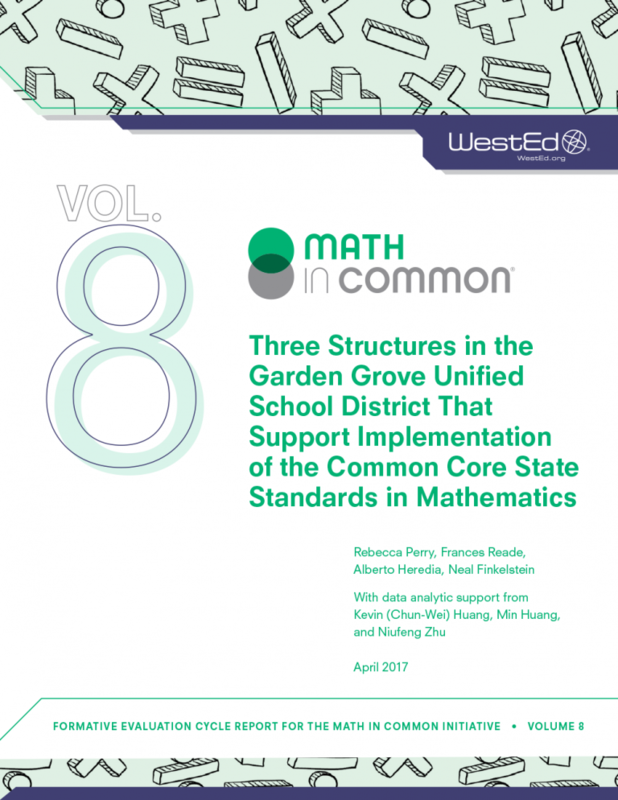 Significant teacher input, pilot-testing, and implementation guidance from an outside consultant helped Garden Grove schools effectively transition lessons and pacing guidelines to meet CCSS-M standards. Teachers on Special Assignment (TOSAs). Garden Grove’s TOSAs provide a bridge for passing instructional expertise between administrators and teachers. They are highly visible across district layers, spending dedicated time at both school sites and the central office. TOSAs are encouraged to build long-term relationships with teachers and to focus on being “customer-facing.” Due to the district’s robust leadership pipeline, TOSAs also often become principals and administrators, helping the district to spread ideas about instruction. Professional learning system. While “Super Week”—the district’s stipended summer professional learning program—is optional, all teachers are expected to implement learning from Super Week. 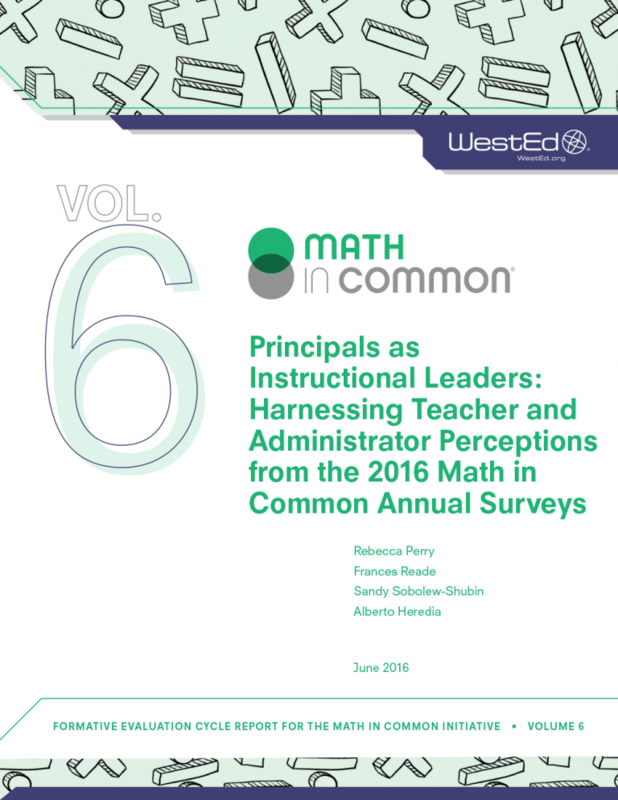 Professional learning opportunities are well-attended across staff positions, are consistent and planned early, encourage continuous reflection on instructional strategies, and incorporate teacher feedback.